Hot Springs, AR(Saturday, March 16, 2019) – Before a record Rebel Stakes crowd of 45,500, local hero Long Range Toddy, owned by Willis Horton of Marshall, AR, won the first division of the $750,000 Rebel Stakes (G2) by a neck over 2-5 favorite Improbable. Fox Hill Farm’s recent impressive maiden winner Omaha Beach edged champion Game Winner in a photo to take the second division of the $750,000 Rebel Stakes (G2). 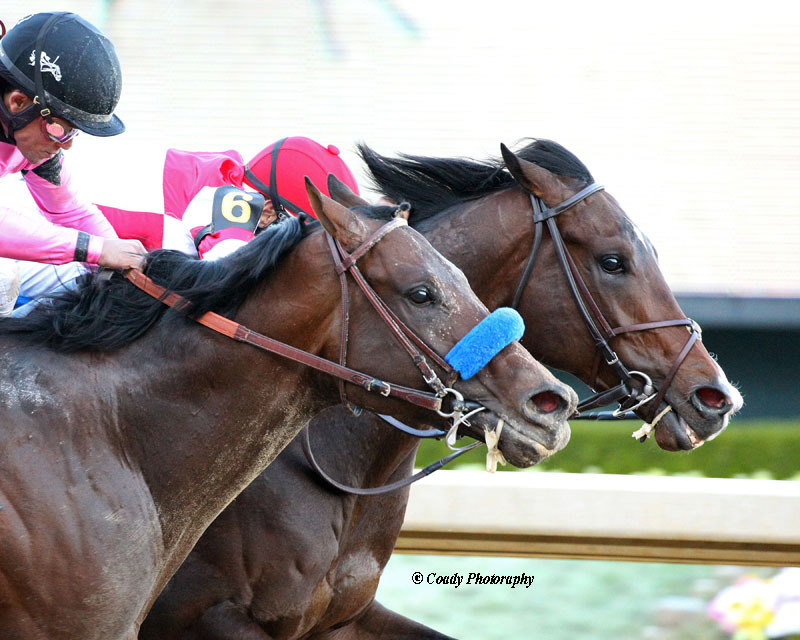 The Rebel Stakes, one of Oaklawn’s signature races for 3-year-olds, was divided into two divisions after 19 horses were entered for the 1 1/16 mile race, the final major local prep for the $1 million Arkansas Derby (G1) April 13. The split meant that the Rebel, originally a $1 million race, was worth $1.5 million overall, with each division offering $750,000 and 63.75 qualifying points for the Kentucky Derby to the top four finishers (37.5, 15, 7.5 and 3.75). Hall of Fame trainer Bob Baffert was the overwhelming program favorite in each division. Unbeaten champion Game Winner drew post five in the second division (10 entrants) and unbeaten Grade 1 winner Improbable drew post 9 in the first division (nine entrants). Hall of Fame trainer and nine-time Oaklawn champion Steve Asmussen entered six horses for the Rebel, including Springboard Mile winner Long Range Toddy (first division) for owner Willis Horton of Marshall, Ark. 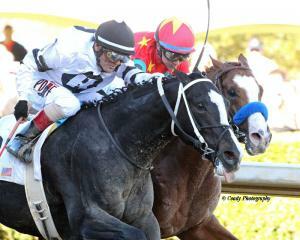 Long Range Toddy ran in Oaklawn’s first two Kentucky Derby points races, finishing second in the $150,000 Smarty Jones Stakes on Jan. 25 and third in the $500,000 Southwest Stakes (G3) on Feb. 18.